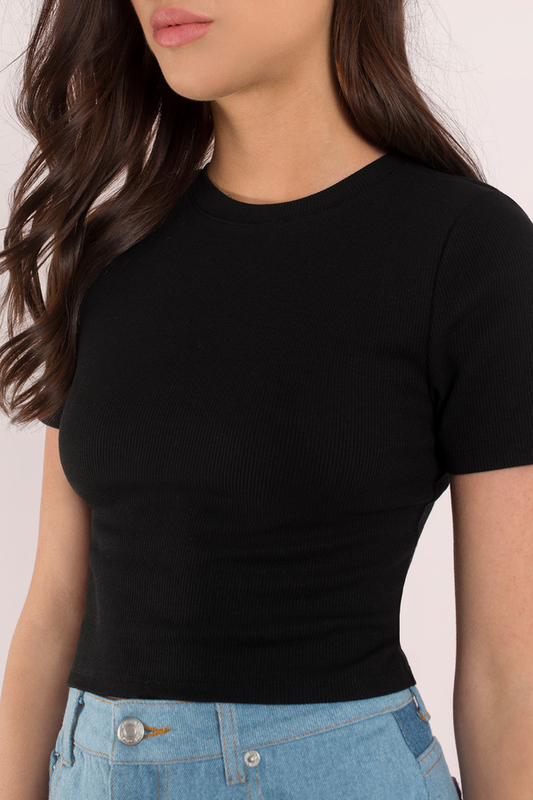 Check out Tobi's Neomi Ribbed Top Better than basic, the Noemi Ribbed Top features a crew neckline, short sleeves, and a cropped, fitted construction. Pair this cropped tee with faux leather pants for an easy nighttime 'fit, or wear it under a cami jumpsuit for a chic daytime look. 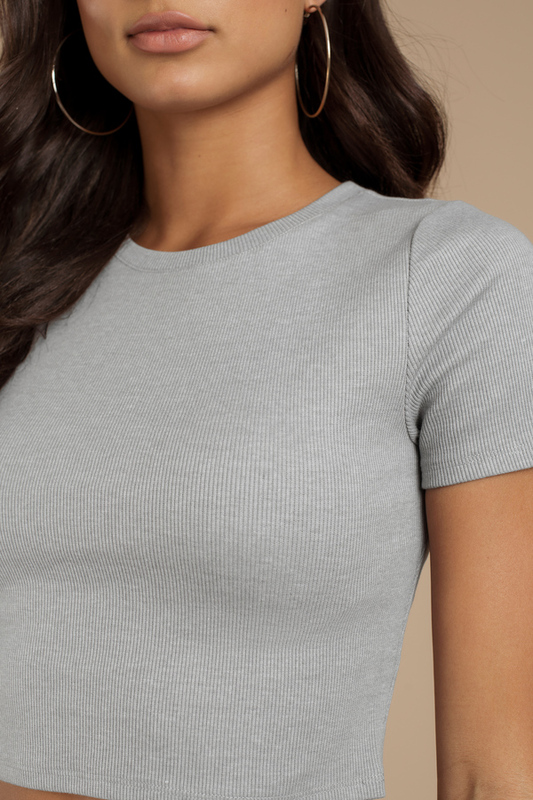 Better than basic, the Noemi Ribbed Top features a crew neckline, short sleeves, and a cropped, fitted construction. Pair this cropped tee with faux leather pants for an easy nighttime 'fit, or wear it under a cami jumpsuit for a chic daytime look. Light Heather Grey modeled on a size Small.